In this quilt pattern, you will learn how to piece blocks on the bias. It can be a little tricky at first, but is a neat way to do something new. Just remember to pin, pin, pin! 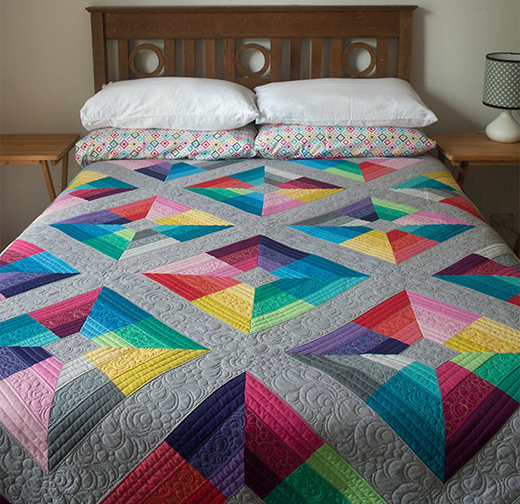 This Kite Flight Quilt designed by Janice Zeller Ryan of Better Off Thread, The Pattern is available for free.